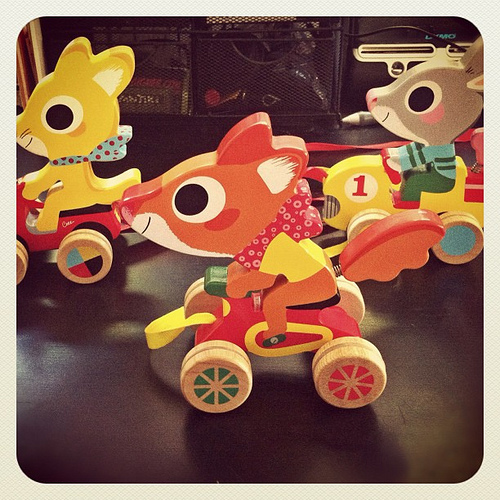 Wood toys by Marc Boutavant – Hello Adorable! Marc Boutavant is a French children’s illustrator whose adorable drawings are found in books and all kinds of other cute doodads such as these sweet wooden toys. The toys are made by Djeco and can be found at toy stores or on Amazon.